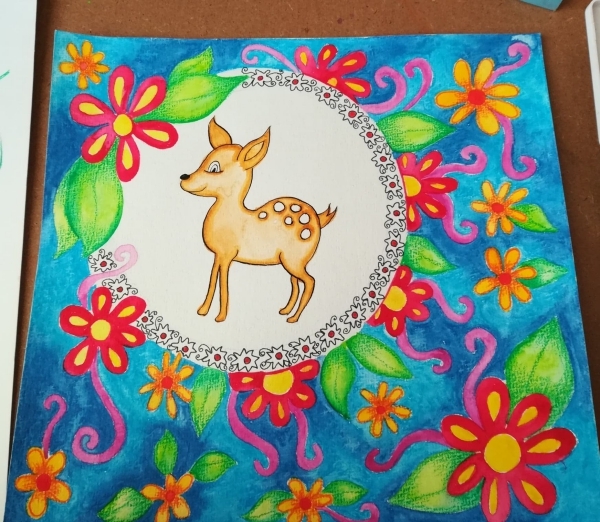 I painted this watercolor deer painting as my entry for Art Explosion Week 62 contest over on Steemit . 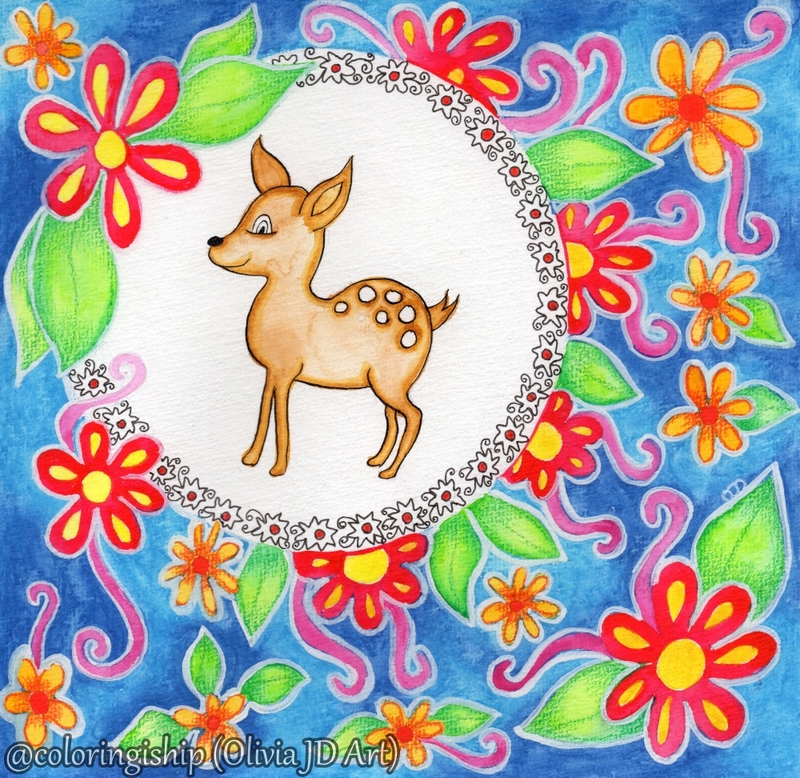 The theme for this week is COLOR. 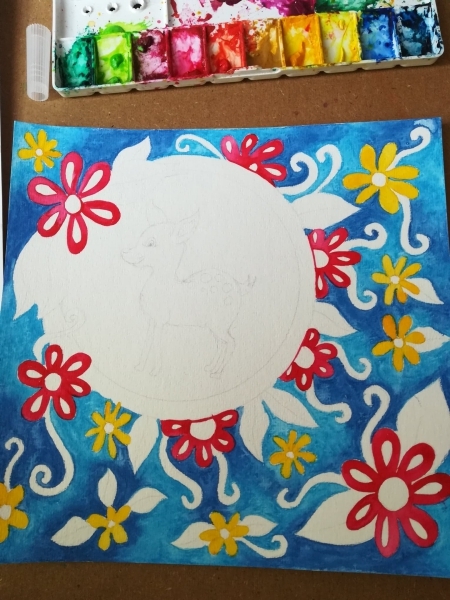 Since it’s singular so I guess I need to use one main color for my painting. I decided to play it safe and choose one of my favorite colors, which is blue. 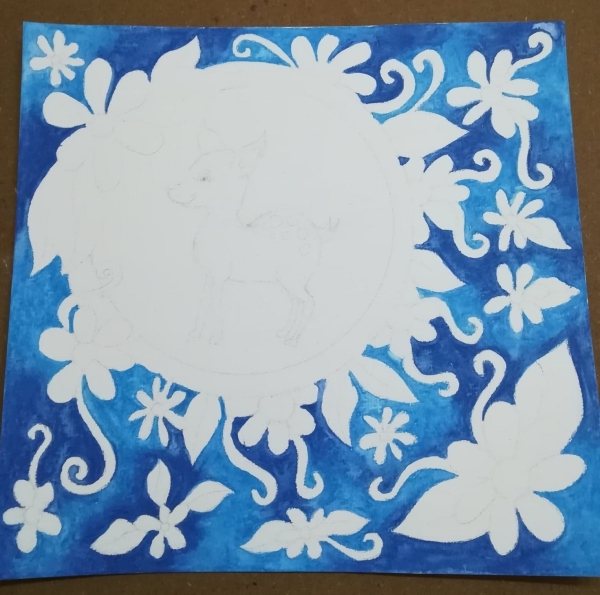 Well, I used blue mainly for the background and four other colors to complement it. I have been reading a bit of art history recently particularly the Bloombury Group from the early 20th century. This group of artists and writers lived a very unconventional life, they were the bohemians of the early 20th century. I was drawn to the relationship between its two core members, Duncan Grant and Vanessa Bell. Vanessa was the sister of that famous writer, Virginia Woolf. However, unlike Virginia, Vanessa was an artist. Together with Duncan, Vanessa created some beautiful art and decor in the farmhouse they shared, the Charleston farmhouse, Sussex. Once Duncan died in 1978, the house turned to a museum. You can check out Charleston website here. 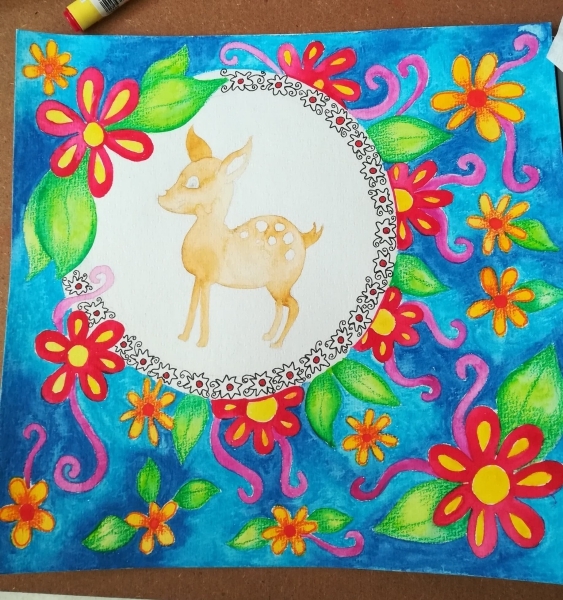 What do you think of my watercolor deer painting?